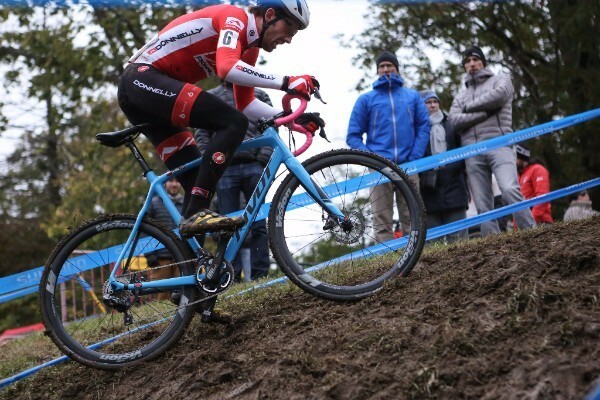 The technique for jumping is very closely related to manualling – lifting the front wheel without pedalling – and that’s good news. It’s good news because you’ve got far less chance of a big crash while practicing manuals than while riding up ramps! • Flat pedals give vital confidence – and won’t let bad habits develop! The first counter-intuitive thing is that jumping is not about pulling up – it starts with pushing down. 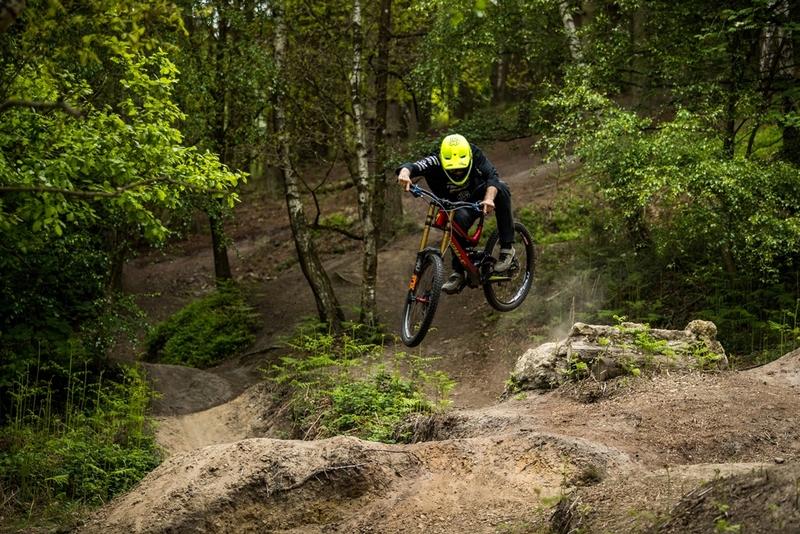 Whether you have suspension or not, you must compress the bike on approach in order to let it come back up – almost weightlessly, and heading upwards – as you go off the lip. The second counter-intuitive thing is not to stare at the jump. Assess it on approach, of course, but as you hit it keep your chin up, your eyes level and focus down the trail. You’ll find balance and control follows naturally. Drop your head and you’ll likely drop your front wheel too. The trick of the take-off is timing – you must weight and unweight each wheel at a specific time. 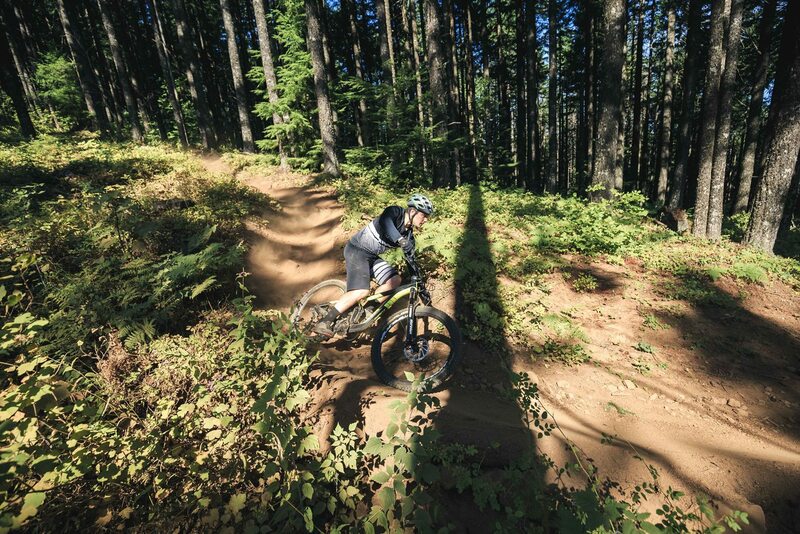 Compress the bike into the upslope by crouching dynamically and lowering your chest, pushing down with your arms. Your weight should be central between the wheels. By the time the front wheel reaches the lip, it should have no weight on it. You achieve this by moving your weight back from your hands and onto your feet as you go up. Obviously you need to begin this (smooth) process early enough for the front to be unweighted as it reaches the lip. Start roughly 2/3 of the way up the jump, though be aware this varies according to speed and suspension travel. As the front wheel leaves the lip, you should be pushing your weight completely through the pedals. So, you’ve squashed the front wheel into the jump until just past halfway up, then moved your weight back over the rear wheel as that follows over the lip. Note you’re not pulling up to get lift, and you’re not lifting both wheels simultaneously like a bunny hop. As a consequence, both you and the bike are floating up on an arc. Simply looking down to where you’re going to land should be enough to dip the front into the second half of the arc and the landing; aim to land with both wheels at the same time. Don’t forget, once you’ve spotted your landing, look back up along the trail!